Are you interested in buying a firearm? Shorten the time and paperwork required by obtaining your California Firearm Safety Certificate before heading out to the gun store. 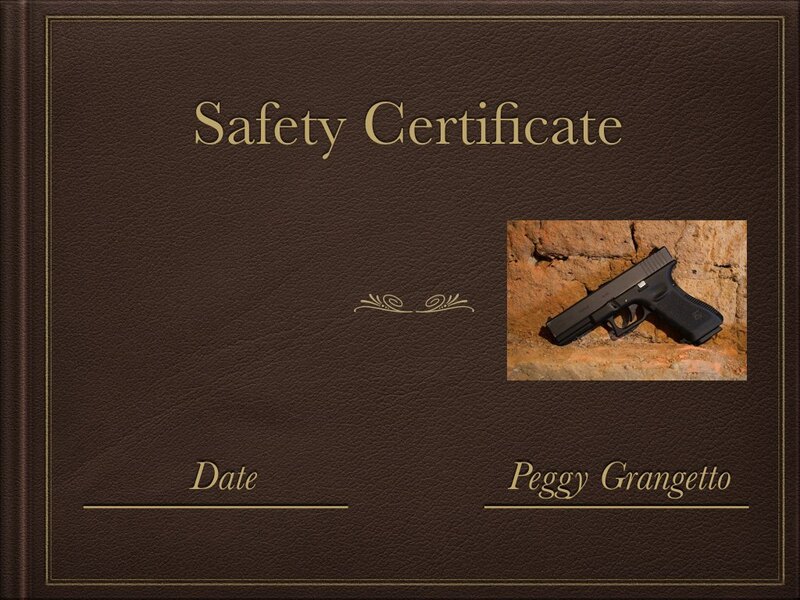 The certificate is required for firearms purchases in California and replaces the previous Handgun Safety Certificate. We'll help you prepare for the short 30-question test by providing a study guide that covers all the material you need to know. Once you're comfortable with the information, we'll administer the test, score it immediately, and issue your new FSC. Then just take the FSC into the gun store whenever you're ready to make your purchase. It's that easy! We're happy to make appointments for administering the test, or you can take it during one of our many course offerings. Let us know how we can assist you with obtaining your FSC in advance! The Home Firearm Safety class (NRA Home Firearm Safety Course format) provides safe gun handling information in a classroom-only, non-shooting environment. The course presents the basic knowledge, skills, and explains the attitude necessary for the safe handling and storage of firearms in the home. Students will learn the NRA's safe gun handling rules; primary causes of firearms accidents; firearms parts; how to unload specific firearm types; ammunition components; cleaning and care of firearms; safe storage of firearms in the home; and the benefits of becoming an active participant in the shooting sports.